Harold Lloyd. Fatty Arbuckle. Buster Keaton. They were very big stars of comedy in their day, but their fame had faded as the years have passed. That’s the way of the world: the new crowds out the old. It takes a special kind of performer to stay famous long after death has lowered the final curtain. Laurel and Hardy did it. Their films are still creating happy laughter nearly a century after they were made. But Laurel and Hardy were a duo. Charlie Chaplin achieved comedic immortality all on his own. He was perhaps the most famous human being on the planet in his heyday as comedy king of the silent screen. There was no television in those days and film reigned supreme in the field of mass entertainment. Chaplin’s silent comedies didn’t need translating: they could be understood as easily in Shanghai as in Chicago, and audiences rocked with laughter as much in Budapest as in Boston. His signature character, the Tramp, with his toothbrush moustache, bowler hat and cane, became a twentieth-century icon, as instantly recognizable as Marilyn Monroe’s billowing skirt or Groucho Marx’s cigar. Monroe and Marx became stars as cinema evolved, first acquiring a soundtrack, then bursting into full colour. Chaplin was dethroned by these developments: he wasn’t the king of comedy in the 1950s, but he was still honoured as a genius not just by the general public but also by his fellow performers. The 1960s might have been a revolutionary era, but guess who made it onto the cover of the biggest album by the world’s biggest band? Yes, the Beatles put him on Sgt Pepper’s Lonely Hearts Club Band. 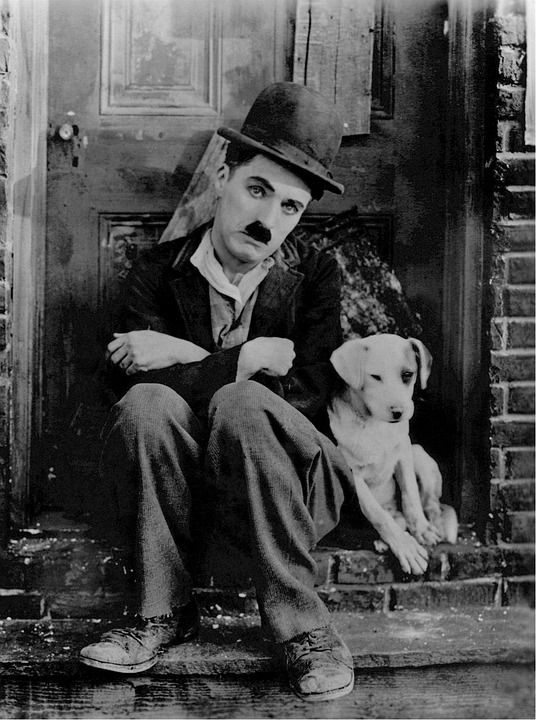 By then Chaplin was retired and in poor health. He spent his final years in Switzerland, living by Lake Geneva with his fourth wife, Oona Chaplin. When he passed away on Christmas Day in 1977 he made headlines around the world. But nobody could have foreseen the bizarre events that would follow. Chaplin’s coffin was kidnapped. All that was left in the local churchyard where he had been buried was a big hole and a pile of earth. The thieves made a phone-call to the police, demanding a million Swiss francs for the coffin’s return. That was a huge sum, the equivalent of £1.5 million today, and Oona Chaplin refused to pay. She said that her husband would have seen the funny side of the situation. And indeed, it turned into farce when the police tried to trick the thieves and ended up arresting an innocent postman. In the end, however, the thieves were caught and the coffin was safely recovered. It was an unusual crime and Chaplin would surely have enjoyed it. However, he would also have known that the joke wouldn’t last, so he would have approved of what his family did next. When they re-buried his coffin, they ensured that it was encased in concrete. This time the Tramp was staying put. He hasn’t been kidnapped again and he hasn’t needed bizarre headlines to keep his star shining bright in the history of cinema. Generations of comics have come and gone, but Charlie Chaplin is still acknowledged as one of the greatest stars to ever raise a laugh or prompt a tear.